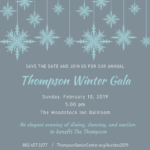 The Thompson Senior Center was established and has thrived through the financial support of our friends and neighbors throughout the Woodstock area. 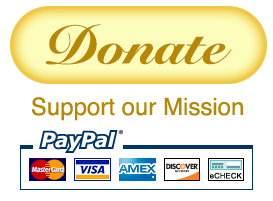 This page is intended to provide you with some general information about donations to The Thompson. The Thompson Center’s annual appeal begins each September. Giving a gift of any amount supports the critical mission of home delivered meals, transportation, and a wide variety of health related and social programs. 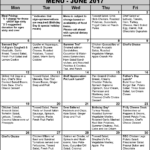 The Thompson provides senior advocacy, a welcoming environment for socialization and serves over 20,000 meals each year and provides over 4,600 rides each year to older and disabled adults in the communities of Woodstock, Barnard, Bridgewater, and Pomfret. Giving to The Thompson means you’re making a difference every day! To make a gift, you can use the online donation form above or you can mail or deliver your gift to 99 Senior Lane, Woodstock, VT, 05091. Before making any major gift, you should confer with your attorney or tax consultant about the particular kind of gift you wish to make and its specific tax advantage to you. A Planned Gift is a charitable gift of discretionary capital or principal, any type of property or any amount, requiring the assistance of the donor’s advisors, professional staff person, or qualified volunteer. It can be outright or deferred; a lifetime gift or a gift made at the time of death. It is usually made within the context of the donor’s overall financial or estate planning. If you have any questions about this program, please contact Deanna Jones, Executive Director, at 802-457-3277, ext. 11. Outright Gifts are the simplest to give. They include gifts of cash, publicly traded stock and other securities, and real estate. By making an outright gift to The Thompson Senior Center Planned Giving Fund, you may claim valuable deductions on both your Federal and State tax returns. A gift of Long-Term Appreciated Stocks and other securities will give you a charitable deduction by eliminating any capital gains tax. Individuals generally may deduct the full value of their charitable gifts to The Thompson Senior Center Planned Giving Fund. 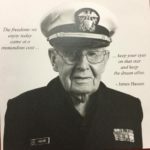 You may name The Thompson Senior Center Planned Giving Fund as the beneficiary of the remainder of your IRA or other retirement funds at the time of your death. A gift of this type escapes all taxes and lets you leave your family other assets that may carry less tax liability. Gifts of Real Estate can consist of almost any type of property. These gifts may be primary or secondary residences, a farm, a commercial building, subdivision lots, or an undeveloped parcel of land. Individual financial needs and goals should determine which of the following methods of giving is most appropriate for you. You might wish to keep in mind, however, that lifetime transfers offer more immediate income tax advantages than bequests in a will. The property is deeded to The Thompson Senior Center Planned Giving Fund. Ownership of a property is transferred to The Thompson Senior Center Planned Giving Fund, but you retain the right to use the property for your lifetime. Upon your death, The Thompson Senior Center Planned Giving Fund takes full possession of the property.